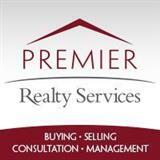 Premier Realty Services specializes in connecting you with residential or commercial properties. Whether you are a looking for the home of your dreams, want to find the perfect location for your business or want to purchase land, our experienced Premier Agents will be there to guide you through the process. It’s a great time to buy a home! Inventories are high, interest rates are low, and sellers are motivated. No matter what you are looking for, finding the right home can be a difficult process. Premier Realty Services has experienced real estate agents that will provide you with the resources you need to simplify the buying process. From specific neighborhood information, tools to estimate your mortgage payments, and buyer resources and articles, we have everything you need. Ask about USDA loans with 100% financing for eligible homebuyers. Please take a minute and browse your local neighborhood and school details, real estate mortgage information and interactive maps for your market. Looking to purchase commercial property or land? Our team of accredited and experienced agents can guide you in locating and purchasing investment property, a commercial property or land. Let us work with you to make a sound investment with the perfect location for your business or new home.